When things go wrong, you call an ambulance. But what happens if things go wrong while you’re at the hospital? There’s nobody you can call for help – and that doesn’t make sense. When you walk into a hospital, you leave behind your ability to get help from the outside. 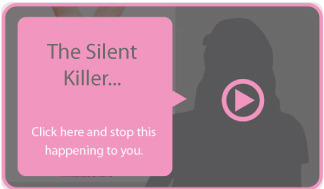 Find out what life saving tool can redress the balance! Her life was saved by Dr Casey and his team at the Royal Victoria Hospital, Belfast. I thought all doctors were HEROES. 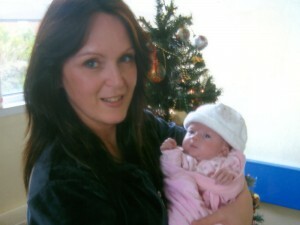 Hayley died on 11th November 2009, failed by Dr Stumper and his team at Birmingham Children’s Hospital, England. I found out some doctors are ZEROS. DOCTORS – HERO? ZERO? HUMAN? The majority of adverse events in hospital are not the fault of individuals but due to broken systems, toxic cultures and weak leadership. I support the hard working, dedicated professionals doing their best against the odds. I have nothing but respect and admiration for them. 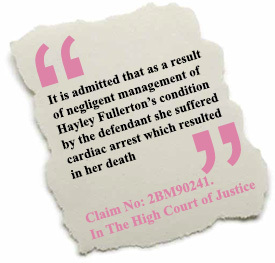 Before Hayley died I thought medical harm/neglect was something that happened to other people. After Hayley died I found out hospital patients are being harmed at an alarming rate. 1 out of 10 patients will be affected by some form of medical harm/mistakes from the wrong drugs, to wrong site surgery, to death. Half of these medical harm/mistakes are preventable. I made it my mission to find out how I could have saved Hayley. Most of the information I found was cold and clinical, full of hard facts. I needed real human stories full of emotion. It was such a gift to find Josie’s Story, a book written by Sorrel King, a mother who overcame the tragedy of losing her 18 month old daughter to medical mistakes and by sharing her story and her struggle has saved thousand of lives. It gave me information, understanding, direction and inspiration. By telling Hayley’s story I hope to inform inspire and connect others. 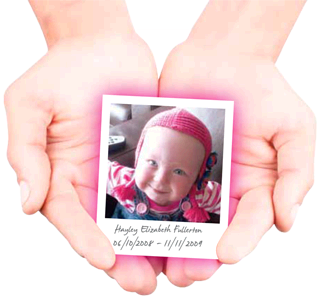 By telling Hayley’s story I hope to save thousands of lives so Hayley’s death was not in vain and real patient safety lessons are learned.